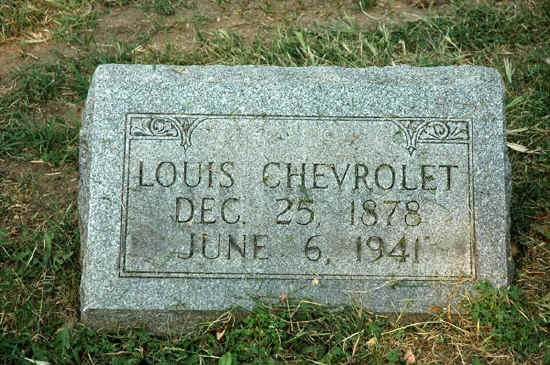 While Geocaching in Indiana, I had read about the location of the grave sites for the Chevrolet Brothers who were great race car builders and drivers in their day. 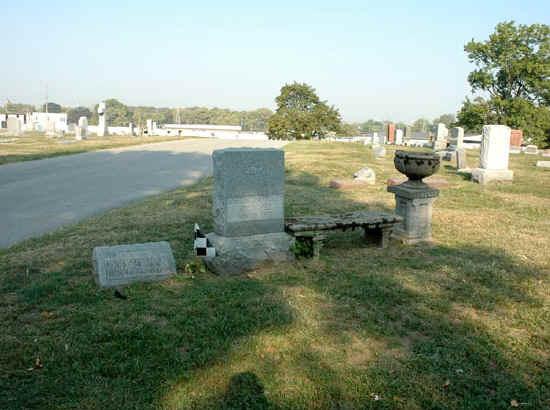 Today I had the opportunity to visit the Holy Cross St. Joseph Cemetery in southern Indianapolis, Indiana and was able to verify it. 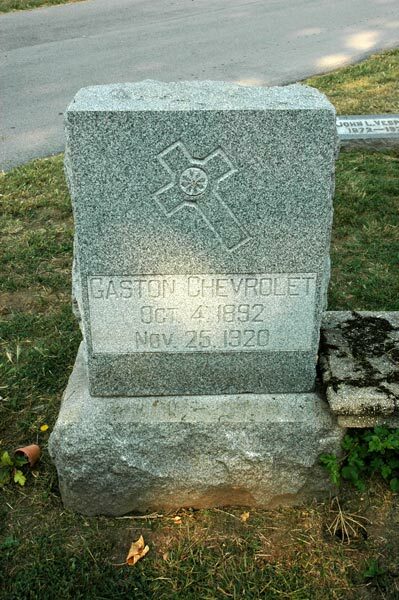 There under the flag pole were the head stones for Louis and Gaston Chevrolet with a little checkered flag between them. Also buried there without a marker is their middle brother Arthur. Arthur committed suicide and his disgraced family decided not to have a headstone for him. I assume it is where the bench is placed. On the opposite side of the bench is the head stone for Chastain Chevrolet, but I'm not sure what relation she has to the brothers.